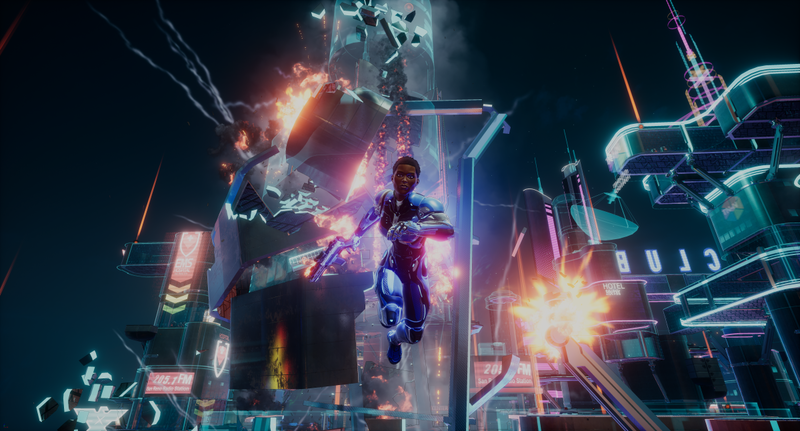 Crackdown 3 developers have made the bizarre decision of not allowing parties in the game’s Wrecking Zone mode. Wrecking Zone, of course, being Crackdown 3’s premier multiplayer mode; the only mode to feature the hyped cloud-based massive destruction. Of course, players today expect to able to jump into multiplayer modes with pre-made parties, but during the game’s recent stress test, many noticed that this was not available. Some assumed it was a beta limitation, but Crackdown 3 developers have indeed confirmed this will also be the case at launch. A post on the game’s official Discord (spotted by Branflakes222) by a user named MSFT Crackdown clarified this detail to fans, disappointing many. It’s not really clear why Microsoft chose not to include such a basic feature, especially since Wrecking Zone doesn’t have the competitive considerations that could prevent pre-made parties. While it can be unfair for solo players to go up against stacked teams, other games usually solve this problem by offering playlists dedicated to solo players. The news left many on Reddit disappointed, and it’s yet another knock against the game just days before release. Crackdown 3 is out this Friday on PC, and Xbox One.